How to watch Tangled (2010) on Netflix Egypt! Yes, Tangled is now available on Egyptian Netflix. It arrived for online streaming on October 1, 2018. 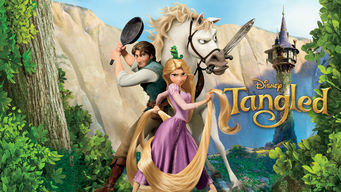 We'll keep checking Netflix Egypt for Tangled, and this page will be updated with any changes. Disney takes on the classic Grimm Brothers story of Rapunzel, a long-locked beauty imprisoned in a secluded tower by evil hag Mother Gothel. Stolen as a baby and locked up in a tower. Not a great start for this princess ... but things are about to change.